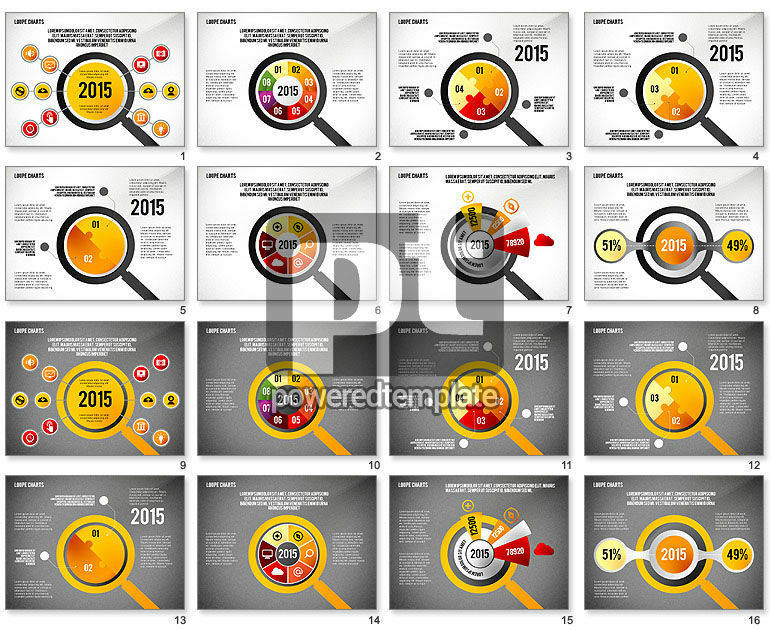 These presentation slides 47021 are complete compatible with Google Slides. Simple download PPTX and open the template in Google Slides. This magnificent puzzle template speaks for itself due to its marvelous design and such detail as a magnifying glass where different bright items are connected to each other in many various ways. It has a warm yellow-orange-red and black palette, two versions of the background and may be used in such topics as step by step actions, management, success, strategic planning, development, growth, etc.